3) The interim constitution would be replaced by a written constitution post-independence day following the deliberation and constitution-framing exercise to be conducted by the Constitutional Convention established under an Act of the newly elected independent Scottish Parliament (section 33). Stage one of this process would require legislative action by Westminster in order to devolve the necessary power to legislate for an interim constitution. So rather than solely focus on the content of the Bill itself, it is crucial to examine what would be required in order to ensure legality in the passing of the proposed interim constitution. A number of matters that are currently reserved would require to be devolved before independence day, such as for example, the ability to legislate to change the constitution of the United Kingdom (reserved under paragraph 1 of Schedule 5 of the Scotland Act 1998). It is proposed that the Bill would then commence on an incremental basis with sections 1 (independence), 18 (Scottish citizenship), 20 (international organisations), 34 (continuity of laws) and 37 (short title) commencing in advance of independence day (when the Bill is granted Royal Assent). This would confer on the Scottish Parliament the power to declare independence through a resolution of the Scottish Parliament (section 1), rather than independence emanating from Westminster legislation. It would also allow (should executive competence be transferred) the Scottish Government to enter into negotiations with international organisations, such as the EU, in advance of independence day to seek to secure continuing membership and a smooth transition to an independent state (see Barber for a discussion on the logistics of an EU negotiation process). It is proposed that the remainder of the Bill would thereafter commence on independence day itself. It is envisaged that the Bill would hold a semi-constitutional foundation whilst the permanent written constitution is being prepared by a Constitutional Convention to be established ‘as soon as possible’ by the newly elected Scottish Parliament in May 2015 (section 33). This is the second stage of transition and during this period the Bill provides the foundation of an interim constitution. However, it is important to note, although it is proposed that the Bill would form a ‘constitutional statute’ under the common law principles first developed by Lord Justice Laws in the Thodburn case – it would not be an entrenched constitution subject to special amendment procedures. Like any other constitutional statute the terms of the then enacted legislation could be amended through subsequent ordinary legislative procedure where subsequent legislation expressly repeals or amends part of the interim constitution (meaning the Bill is exempt from the doctrine of implied repeal but not exempt from expressed repeal or amendment). The Bill would also not stand alone in forming the constitutional framework of a newly independent and transitional Scotland. The statute would be complemented by existing arrangements under an amended version of the Scotland Act 1998. Section 34 of the Bill provides for continuity of laws and the rule of law (guaranteed under section 15) would provide for the continuance of all existing legislation in force the day before independence day and also all common law judgments that relate to Scotland – until such time as judgments are overturned or legislation amended or repealed and replaced. The Scotland Act would require some significant changes – such as the repeal of Schedule 5 that lists those powers reserved to Westminster, and section 28(7) of the Act which reserves the ultimate sovereignty over both reserved and devolved matters to the UK Parliament at Westminster. This would see the incremental dismantling of the current devolved framework. So whilst the proposed Bill is designed to serve as an interim constitution, the existing constitutional framework under the revised Scotland Act would continue to co-exist providing the technical and substantive instructions on how administrative and constitutional law in Scotland should operate. This is, of course, all dependent on the UK Parliament agreeing to transfer the necessary powers and make the necessary amendments to the Scotland Act in the intervening months between the referendum and independence day in order for the passage of the Bill to be a legal possibility. This in and of itself poses difficulties to the eventual enactment of the Bill if the UK Parliament are opposed to transferring powers pre independence day. Although the Edinburgh Agreement (the agreement reached between the UK and Scottish Government on 12 October 2012 that governs the referendum process) contains a duty to cooperate in good faith and ‘in the best interests of the people of Scotland and the rest of the UK’, it does not impose a duty to transfer powers on an incremental or pre-independence basis should the UK Government consider this is not in the best interests of the people of Scotland, or the best interests of the people of the rest of the UK. In any event, the transfer of legislative competence through a section 30 Order and the transfer of executive competence through a section 63 Order would require affirmative approval by the UK Parliament and the Scottish Parliament before becoming law. The UK Parliament is not a party to the Edinburgh Agreement and so there may be significant barriers to ensuring the passage of such Orders. Furthermore, changes to the composition of the Parliament in the 2015 general election and a newly elected UK Government, whatever political administration that might be, may complicate matters further. The Scottish Government could seek to enter into a second agreement with the UK Government after the referendum if the electorate vote for independence. This second agreement could act as a more wide reaching framework agreement to govern subsequent negotiations on the terms of independence – this at the very least might help smooth the first transitional stage by clarifying how the substantive terms of independence and separation might be negotiated and by identifying common principles and values in a spirit of cooperation. At this stage Scotland would not yet have reached independent statehood and this precludes the possibility of an international treaty, however, the framework agreement could reflect the language and content of an international treaty in order to add legitimacy to the process (akin to the terms of the multi-party peace agreement in Northern Ireland in 1998). The terms of an international treaty could thereafter be drawn up to be adopted on independence day, with an ad hoc internationalisation of the previous agreement, so that any matters that continue to be negotiated could be done so in a continuing spirit of cooperation. This would build upon the commitment in the Edinburgh Agreement ‘to continue to work together constructively in the light of the outcome, whatever it is, in the best interests of the people of Scotland and of the rest of the United Kingdom’. If these potential barriers in relation to the transfer of legislative and executive competence are overcome, through for example the adoption of a framework agreement, it is possible that the Scottish Parliament would be in a position to lay the Bill before the legislature in advance of independence day in order to complete stage one of the process. This comes with the caveat that this would be no easy path to secure and is wholly dependent on the UK Government and Parliament respecting the outcome of the referendum and facilitating a quick transition in terms of the transfer of competence. In this sense, it might be more beneficial to set a framework agreement in place before the referendum – so that the terms of the agreement could also cover the eventuality of a no vote providing an opportunity to clarify the road map for Scotland’s constitutional future whatever the outcome of the referendum. This is highly unlikely given the timeframe and the fact the UK Government has already made clear that it would not be appropriate to negotiate the terms independence before the referendum. In the event of a yes vote and the above barriers being overcome, Scotland would thereafter enter stage two of the process under the proposed interim constitution. The Bill proposes transitional arrangements in relation to the Scottish constitutional framework including the proposed process to create a written constitution through the establishment of a Constitutional Convention (section 33). The outcome of the proposed Convention, a written and permanent constitution, would ultimately see Scotland entering stage three of the transitional process. A Deliberative, Participative and Inclusive Constitutional Convention? The final proposed stage in the transitional constitutional status of a newly independent Scotland is provided for under section 33 of the Bill. The provision for a permanent constitution confers a duty on the Scottish Parliament to establish by an Act of Parliament an independent Constitutional Convention charged with the task of drawing up a written constitution for agreement by or on behalf of the people of Scotland. The Act must provide for the membership of the Convention; the funding of and administrative support of the Convention; the time by which the Convention is to complete its task and its dissolution; the procedures and processes to be followed by the Convention; and the procedure by which the written constitution should be adopted by or on behalf of the people. Interestingly, there is no substantive provisions relating to the matters to be considered by the Convention in the Bill itself – leaving this open to the Scottish Parliament to decide post independence. Likewise, the actual appointment of Convention members and the process of deliberation is also left open – meaning the commitment to a participative and inclusive process promised in the explanatory notes (page 44) is not underpinned by any substantive provisions on how this might be achieved. Much like the referendum process, legitimacy in the outcome of the Constitutional Convention would be engendered through legitimacy in the process itself. The proposals in Scotland’s Future (page 352) and the explanatory notes to the Bill promise to include the voices of civic society groups such as trade unions, business interests, local councils, faith groups, community groups, and extensive involvement of ordinary citizens. However, the mechanisms through which these voices would be heard in the deliberative constitution-making process are not yet clear. The Scottish Parliament would therefore be tasked with taking into consideration how best to ensure that the Constitutional Convention takes into account an array of voices, all of which may have differing and potentially competing interests, when legislating for the membership, procedures and processes to be followed by the Convention. By way of example, one might consider how best to include minority groups in a majoritarian decision making process that might otherwise be marginalised and potentially excluded from the process – particularly in relation to vulnerable and disadvantaged groups. The Scottish Parliament, and latterly the Convention itself, would also need to consider whether there should be some form of framework from which the constitution-making process should begin – through for example embedding fundamental constitutional rights, or whether some of the provisions in the interim constitution should be retained, such as those relating to the head of state (section 9); nuclear disarmament (section 23); or the division of powers between legislature, executive and judiciary (sections 10, 11, 13 and 14). The constitution-framing exercise ought to form a deliberative, informed, reasoned and inclusive process so as to avoid what could potentially be an exercise of elite or majoritarian decision making (see Tierney and Boyle). At the very least, it is notable that the proposed Bill ensures the Convention would operate independent of the Scottish Government and Parliament (section 33(3)(4)). Nonetheless, a great deal of consideration would require to be given to creating a deliberative framework that engenders legitimacy in the eventual outcome of the Constitutional Convention process through mechanisms ensuring substantive inclusion and participation. Finally, the Bill proposes that the written constitution at the completion of the Convention process would not necessarily require approval by direct democracy through another constitutional referendum. The Bill leaves it open to the Scottish Parliament to decide how the written Constitution is to be agreed – either through a subsequent referendum, or through approval by Parliament on behalf of the people (section 33(3)(e)). There is a debate to be had about what role direct democracy should play in the adoption of constitutions and subsequent constitutional change and what model Scotland could adopt in this regard (see Constitutional Referendums for an analysis of these issues). As was alluded to in the first paragraph, the interim constitution Bill first and foremost forms part of a consultation paper that is open to deliberation and to the submission of views rather than a Bill that is being laid before the Scottish Parliament in its current form. The publication states that the ‘purpose of the Bill and consultation paper is to facilitate as wide and open a debate on the constitution of an independent Scotland as possible’. With this in mind, it is important to remember that there is a constitution-framing exercise already underway and the consultation process provides an important opportunity to contribute to the wider discussion on potential constitutional change should the referendum result in a yes vote. Again, according to the principles of deliberative democracy, such an exercise is a welcome one in ensuring a participative process. This will also no doubt inform and encourage UK wide reflection on constitutional arrangements – whether that be in relation to a written constitution, further devolution, membership of the EU, or a Constitutional Convention for the UK for that matter. Given that the political parties supporting Scotland’s continuing membership of the UK have now come together to promise further devolution in the event of a no vote one thing we can be certain of is that Scotland and the UK’s constitutional landscape will most likely face change in the near future whatever the referendum result on 18 September 2014. 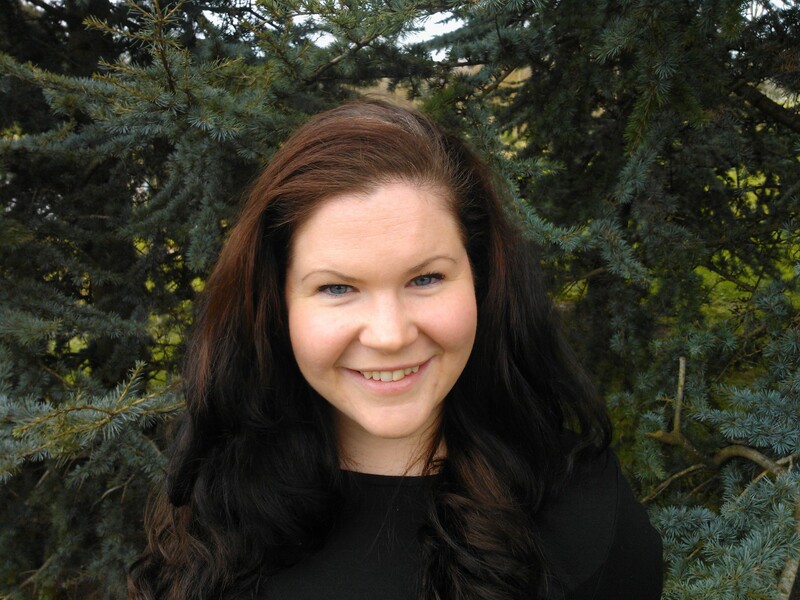 Katie Boyle is a constitutional lawyer, Economic and Social Research Council Research Fellow at the University of Edinburgh and Lecturer in International Human Rights at the University of Limerick. The research for this blog forms part of a research project undertaken by Professor Stephen Tierney, ‘The Scottish Independence Referendum: A Democratic Audit’, funded by the ESRC Future of the UK and Scotland Senior Fellowship scheme. All views expressed are the author’s own. (Suggested citation: K. Boyle, ‘Scotland in Transition: the Scottish Government’s Proposed Interim Constitution and the Scottish Independence Bill’ U.K. Const. L. Blog (21st June 2014) (available at https://ukconstitutionallaw.org/)). In this article for the Constitutional Law Group, Katie Boyle has raised a number of important issues (1). Here we want to take up the question of how “We The People”, many of us, and from a broad spectrum of society, can become genuinely involved in making and finally deciding upon the new constitution of our state and country. The prospect of making a new constitution of state is seen by some as important and perhaps exciting but by many as mystifying or remote. The experts and politicians (not all are expert) bear responsibility to inform the people about the process and to ensure that it can be readily understood. How can real participation in the process of constitution building be enabled and promoted? In an essay about democracy and constitution-making, we asked, “A crucial question, … namely, how can we make ourselves a modern constitution when the “constitution” and related tradition which we appear to possess provide no suitable tools for the job? Given the essential and fundamental role played and to be played by electorates in making and changing modern constitution …., it appears most urgent that we should give ourselves the instruments of citizen-led democracy in order, as a people, to make, re-write and modernise our state constitution.” (2). These instruments, as fundamental constitutional rights, should be activated as soon as possible, so that they may be applied to forthcoming, vital constitutional and legislative tasks. 2 Citizens using direct democracy can both instigate and endorse (sign) citizens’ initiatives — law or policy proposals — and legally binding referendum ballots. Citizens can take part in elections of Members of Parliament. A hundred thousand citizens can instigate a binding referendum by endorsing an initiative-proposal within 18 months of its publication. Fifty thousand citizens (within a defined time period) can demand that a government law or proposal must be put before the whole electorate for decision in a ballot. These principles and rights to have operable democracy, whether as part of a new charter or in other form, could well be later adopted by the Convention, with a strong view to their inclusion in the final constitutional draft. In Scotland, the people are sovereign. This entry was posted on June 21, 2014 by Constitutional Law Group in Scotland and tagged Constitution - Creation, Scotland, Scotland - Interim Constitution, Scottish Independence, Scottish Independence Bill, Scottish Referendum.